If the warning light comes on, there is a brake problem. Have the brake system inspected right away. The brake system might not be working properly if the brake system warning light is on. 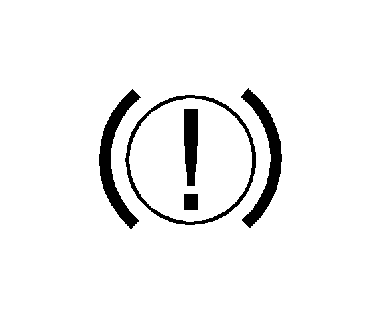 Driving with the brake system warning light on can lead to a crash. If the light is still on after the vehicle has been pulled off the road and carefully stopped, have the vehicle towed for service. This light should come on briefly when the ignition is turned to ON. If it does not come on then, have it fixed so it will be ready to warn if there is a problem. When the ignition is on, the brake system warning light will also come on when the parking brake is set. The light will stay on if the parking brake does not fully release. 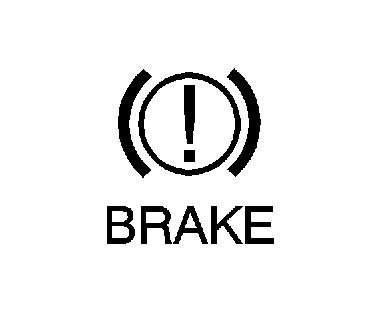 If it stays on after the parking brake is fully released, it means there is a brake problem. If the light comes on while driving, carefully pull off the road and stop. The pedal may be harder to push or may go closer to the floor. It may take longer to stop. If the light is still on, have the vehicle towed for service. See Towing the Vehicle.